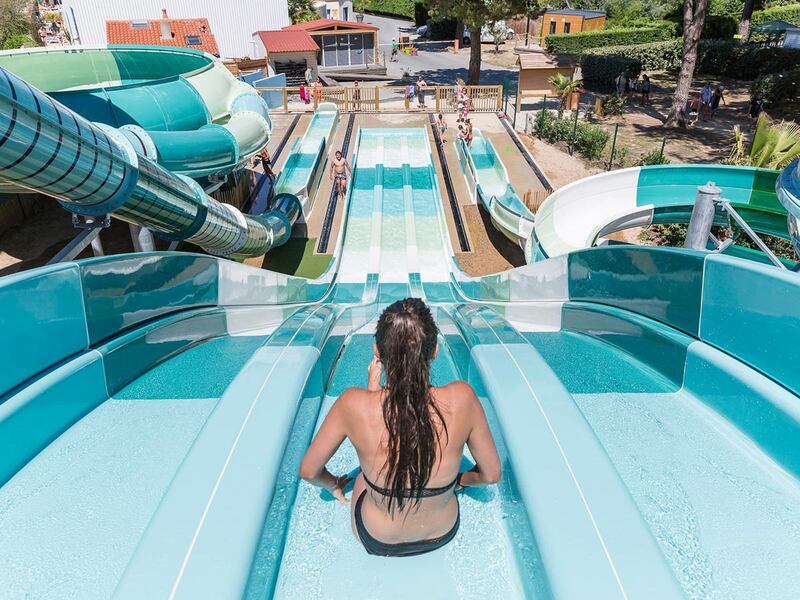 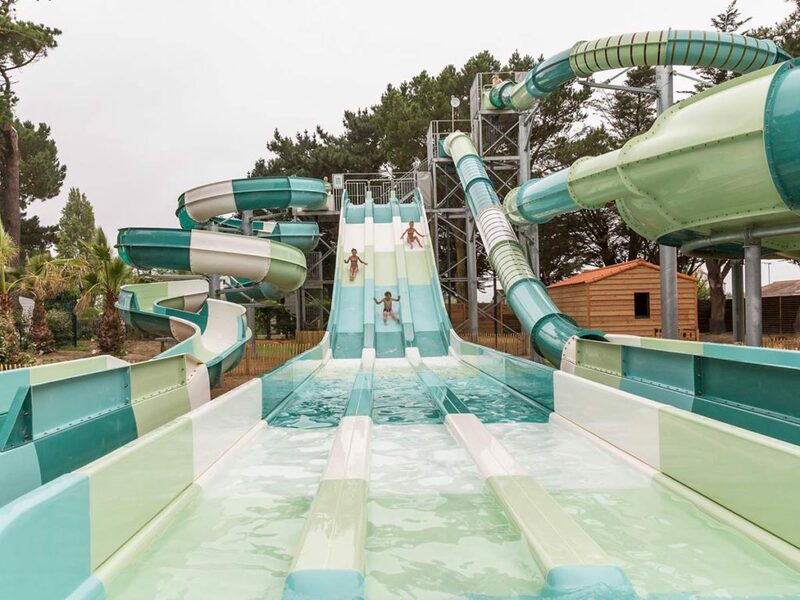 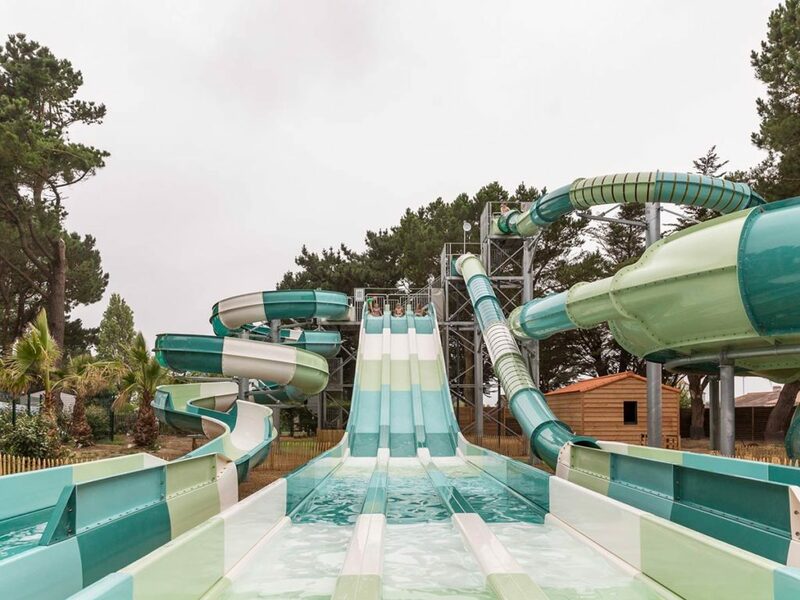 Great family fun at Camping Yelloh Village Le Chaponnet, with choice from sensational water slides. 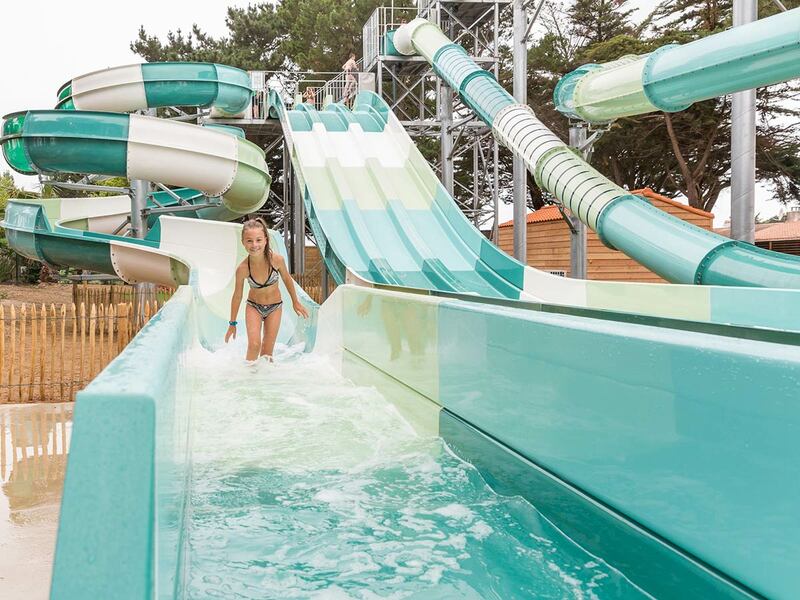 Secured arrival with aquabraking. 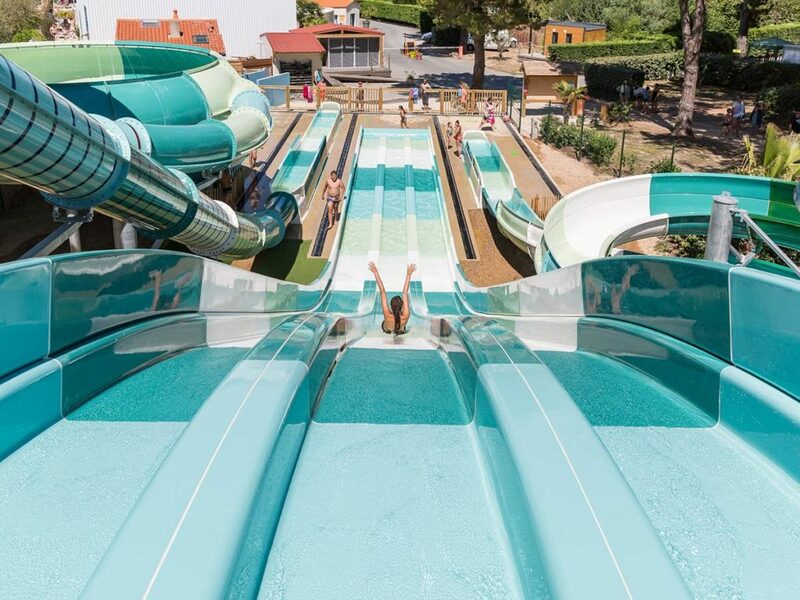 No need to get your head under water! Test the speed of the Kamikaze slide or the whirl of the Space Hole with light effects: get some great adrenaline for an invigorating holiday. 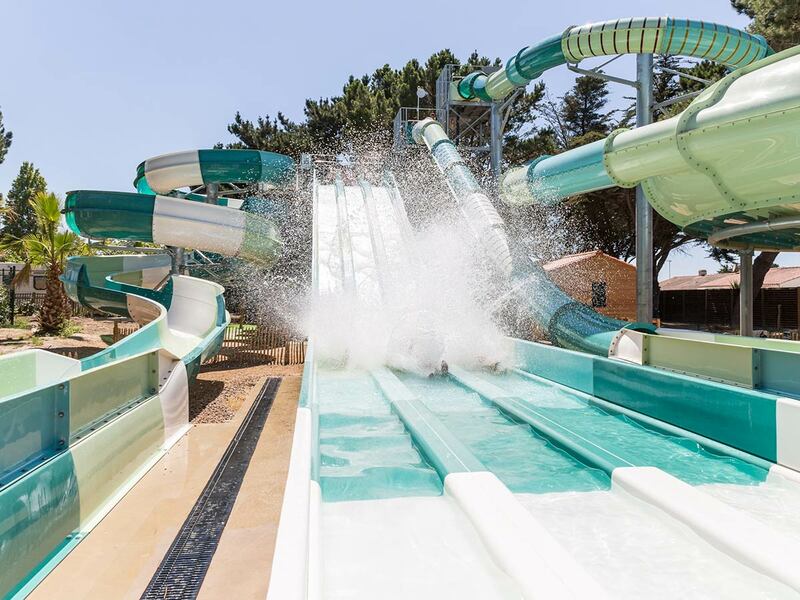 All the slides have an aquabrake arrival (= braking lane without reception bassin). 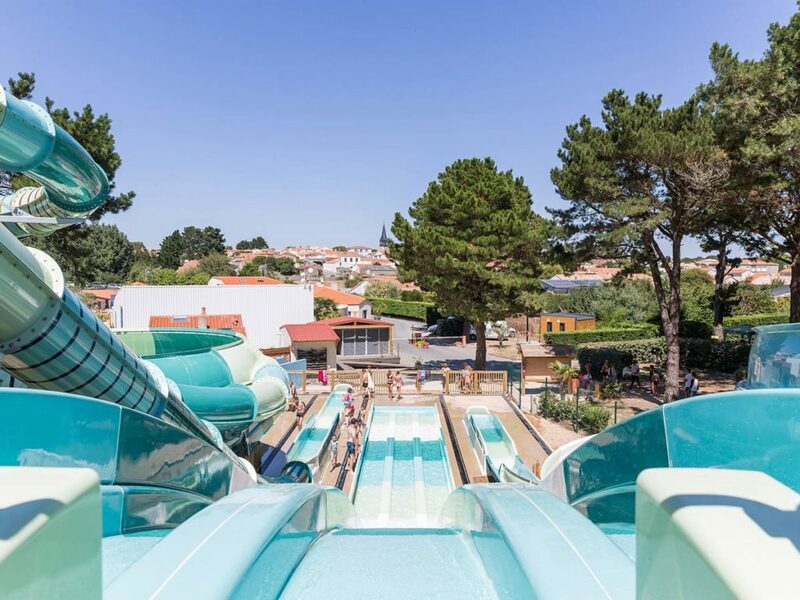 For sanitary reason, Bermuda shorts and long swimming shorts are forbidden. 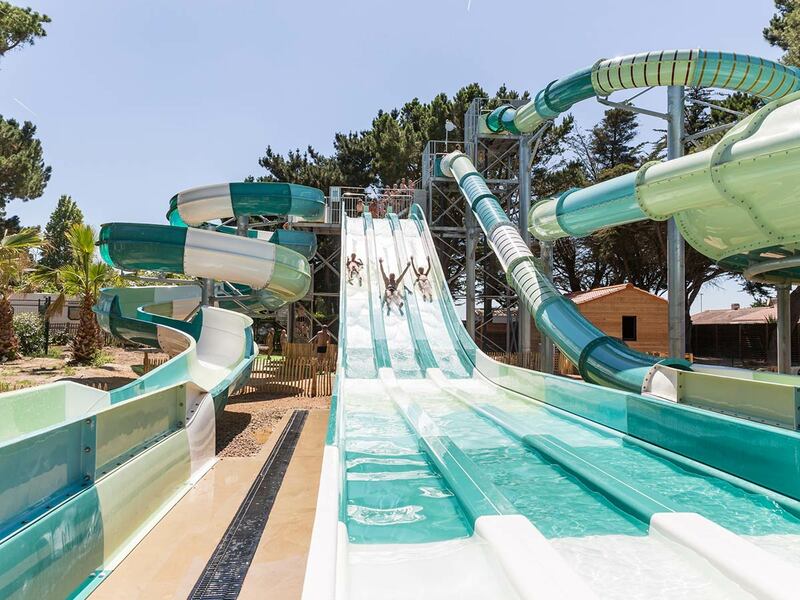 A water parc of 2600 m² !